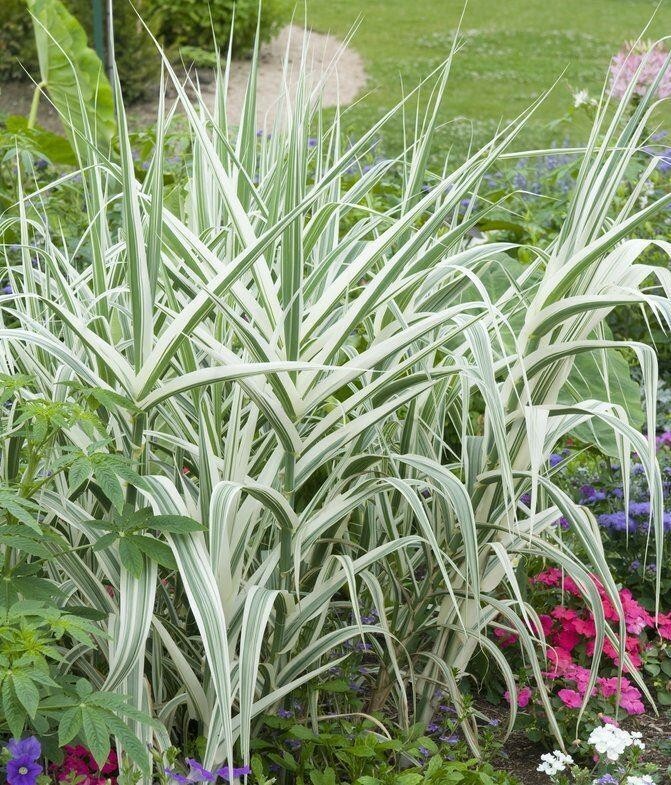 A tropical looking hardy grass, quickly growing to a large size. 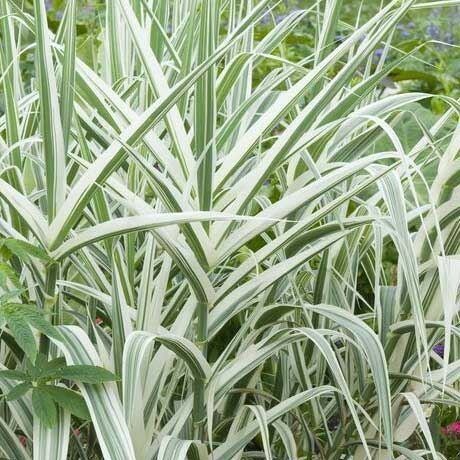 Thick reedy growth, almost bamboo like, will reach a height of upto 10 foot tall in a season and is covered in green striped white foliage. Feathery white flowers appear in late summer. Dormant canes are showy all winter. Makes a superb screening plant, and superb near a large established pond with the gunneras as an accent plant. Larger strong plants supplied in approx 2 litre containers.